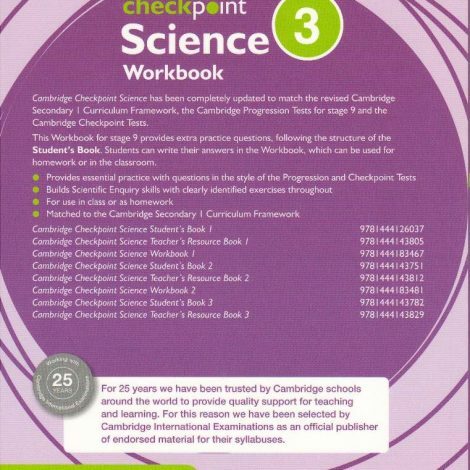 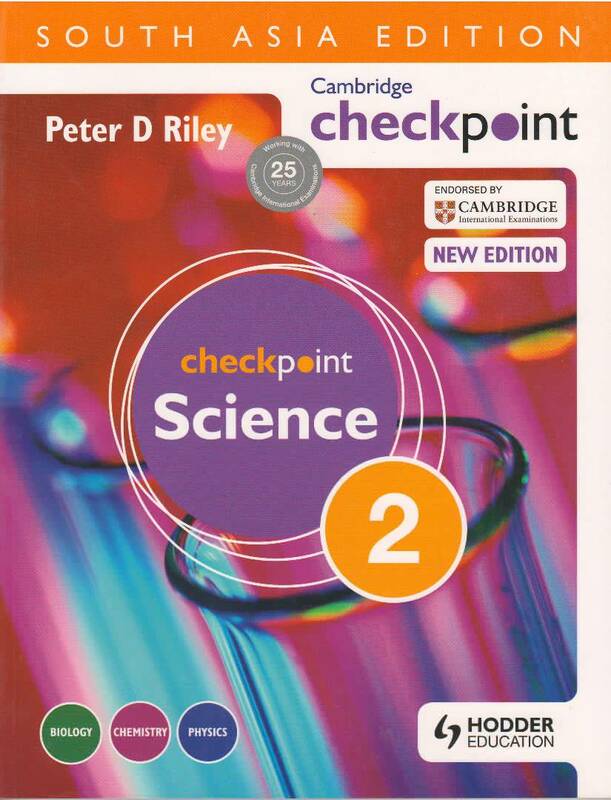 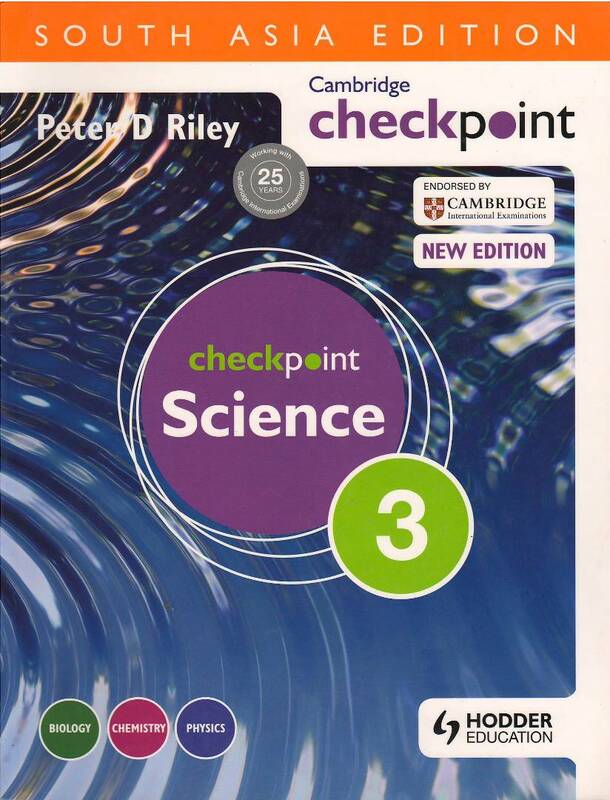 Cambridge Checkpoint Science has been completely updated to match the revised Cambridge Secondary | Curriculum Framework, the Cambridge Progression Tests for Stage 9 and the Cambridge Checkpoint Tests. 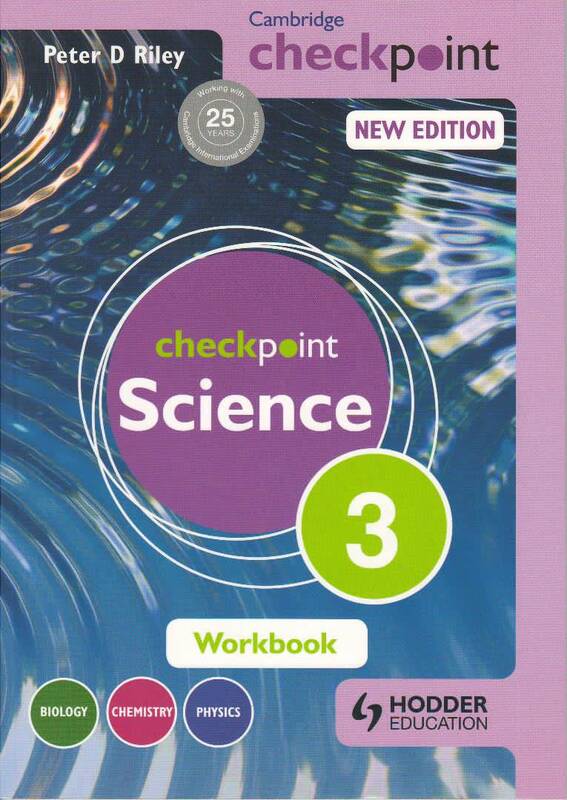 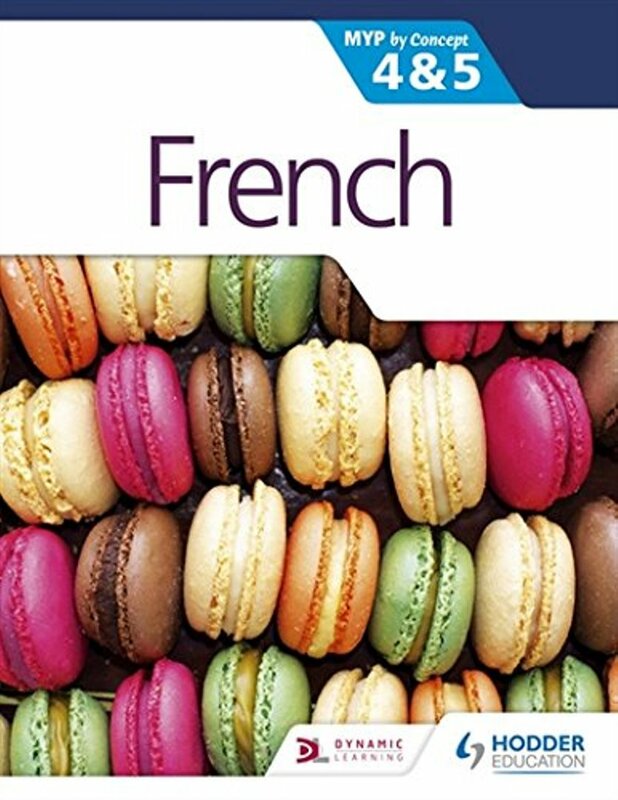 This Workbook for stage 9 provides extra practice questions, following the structure of the Student’s Book. 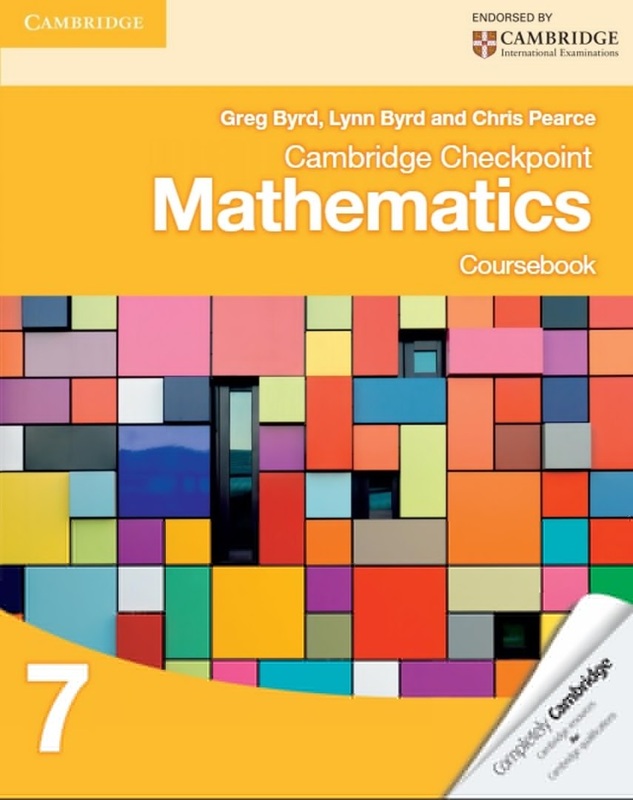 Students can write their answers in the Workbook, which can be used for homework or in the classroom. 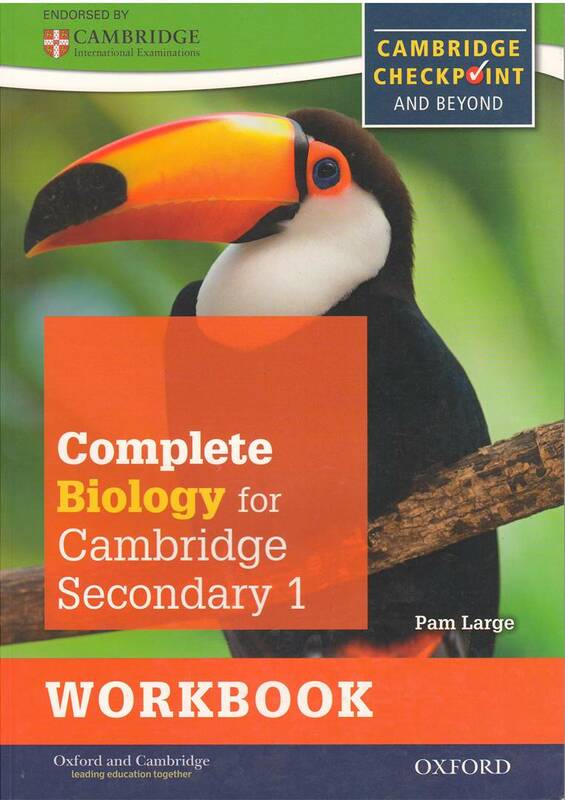 Matched to the Cambridge Secondary Secondary l Curriculum Framework.